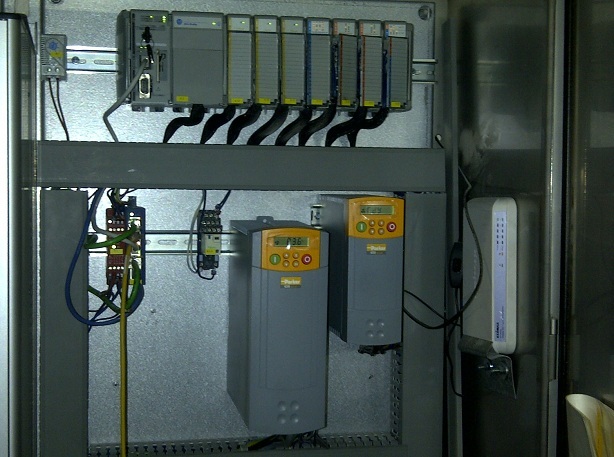 We’ve recently helped out with PLC Software modifications and commissioning on a CIP (Clean in Place) system used by a manufacturer and supplier to the food and drinks industry. 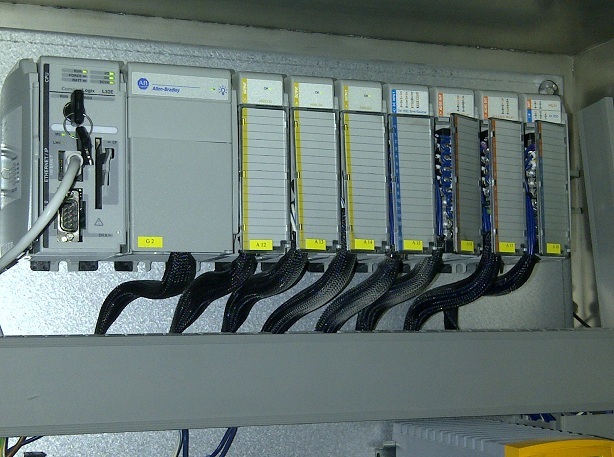 The PLC Software modifications were carried out on an Allen Bradley CompactLogix PLC L32E which was located within an existing PLC Controls Panel. 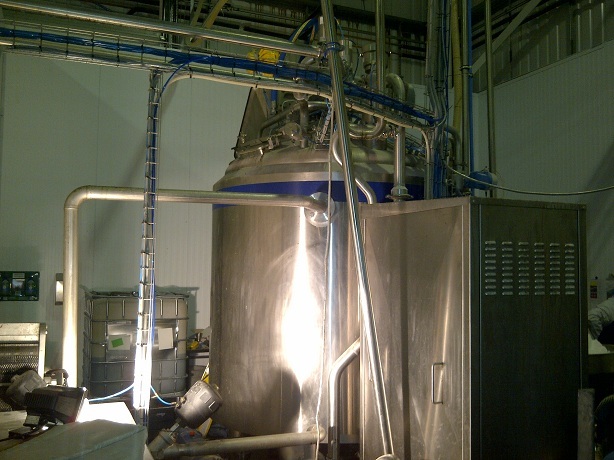 These software modifications enabled new pumps and valves to operate correctly during the CIP routine of a mixer tank vessel, which is carried out each time the system requires cleaning. 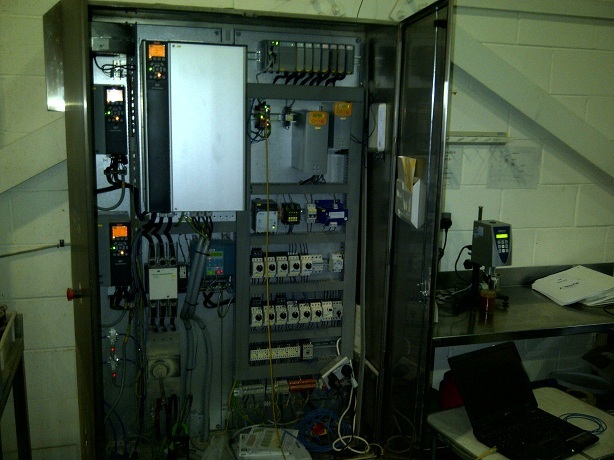 Here are a few photos taken during the on site commissioning. Please remember to contact us if you require any help with your existing Control System or are looking for Software design and assistance on your Allen Bradley CompactLogix PLC. 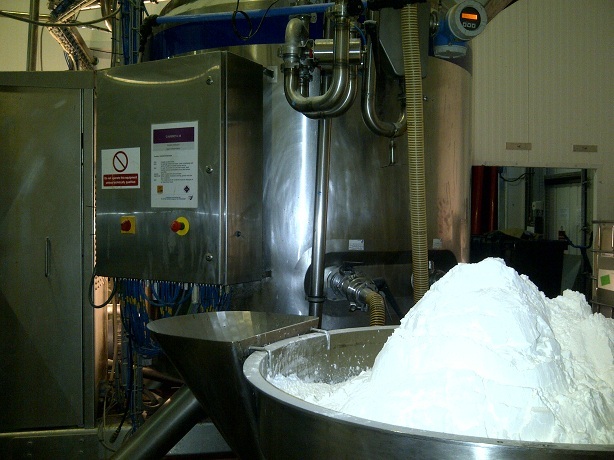 We have had a great deal of success helping customers with CIP Clean in Place Systems right across the Food and Drinks Industry with their process requirements and would love the opportunity to help you with any PLC Control Systems projects you may have.